Vykin has won a potential five-year, $385 million from the Defense Information Systems Agency to provide network engineering support for combatant commands that operate in a mission partner environment. The Defense Department said Monday the company will receive funds at the task order level and that the agency will allocate a $500 guaranteed minimum for the base ordering period. The Defense Information Technology Contracting Organization received seven proposals for the indefinite-delivery/indefinite-quantity contract via a small business set-aside solicitation on FedBizOpps. 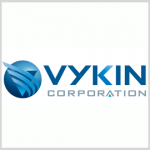 Vykin is a veteran-owned company headquartered in Tampa, Fla., and offers enterprise IT, communications, cybersecurity, imagery and counterterrorism analysis support to the federal civilian, defense and intelligence sectors.